Sam Phillips Recording – Sam Phillips is not just one of the most important producers in rock history, he is also one of the most important figures in 20th-century American culture. 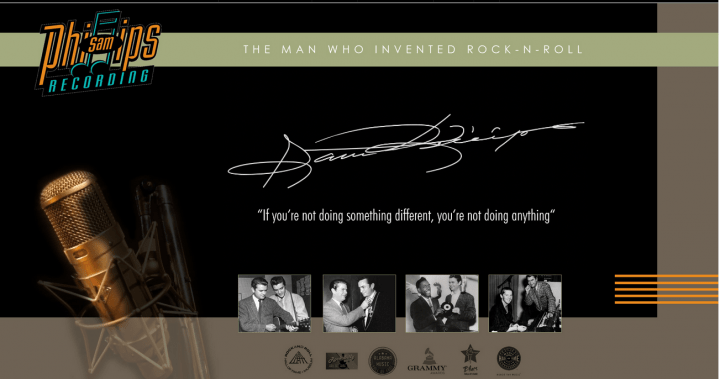 As owner and founder of his Memphis Recording Service Studio and Sun Record Company, he was the vital creative innovator at the epicenter of establishing rock n’ roll as the fresh, new, global music of the 20th-century era. The Phillips family approached Shoals Works about taking on the personal project of building a website that showcased Sam, his legacy and the recording studio. Family managers opted to go with Shoals Works Pro Package to launch their site.